Professional Fire Fighters of Eastern Missouri shared a post. The building had been inspected 1 week prior. We must learn from our mistakes so these horrendous events do not occur again. Tomorrow is Election Day, please consider the Election Endorsement list below by the Professional Firefighters Of Eastern Missouri. Remember your vote matters! PFEM Local 2665 Endorsed Candidates & Propositions April 3rd #ElectionsMatter Please support and encourage your friends and family to do the same. 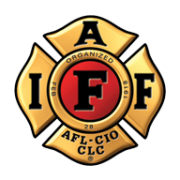 Firefighters and Paramedics from Local 2665 spent the day refreshing on member engagement and shop improvement with instructors from the @IAFFNewsDesk (IAFF)PEP program. The Professional Firefighters of Easten Missouri represents over 2400 firefighters, paramedics and dispatchers from seven counties and nearly 73 departments/ agencies. Our purpose is to enhance community life through safety and charitable causes.